In recent years the little-known research group Forensic Architecture began using novel research methods to undertake a series of investigations into human rights abuses. While providing crucial evidence for international courts and working with a wide range of activist groups, NGOs, Amnesty International and the UN, Forensic Architecture has not only shed new light on human rights violations and state crimes across the globe, it has also given rise to a new form of investigative practice, to which it has given its name. The group uses architecture as a methodological device with which to investigate armed conflicts and environmental destruction, and to cross-reference multiple other evidence sources such as new media, remote sensing, material investigation and witness testimony. This exhibition introduces the practice, outlining its origins, history, assumptions, potential and double binds. 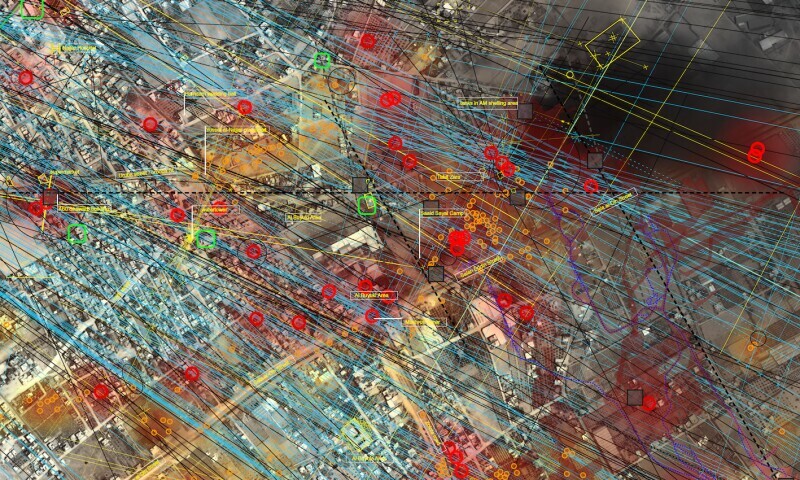 With these investigations and the critical texts that accompany them, Forensic Architecture examines how public truth is produced, technologically, architecturally and aesthetically; how it can be used to confront state propaganda and secrets; and how to expose newer forms of state violence.